Only Porsche Certified Technicians have the knowledge and equipment necessary to return your vehicle to its factory-fresh condition after an accident. To ensure timely, expert repairs, our Porsche collision center has partnered with Cooks Collision – a family-owned facility with a handful of convenient locations in Northern California. Read on to learn more about how the combined expertise of Porsche Fremont and Cooks Collision benefits you! Rear-End Collision Repairs: Usually, the rear bumper, fender, trunk, and taillights are affected by a rear-end collision. Although rear-end collisions are among the most common types of accidents, skilled hands are needed to correct the subsequent damages. Even seemingly small damages should be examined by our experts, as larger issues may be at play. Front-End Collision Repairs: Front fascia, headlight, and hood damages are often the results of a front-end collision. Like rear-end collisions, front-end collisions can create additional problems you may not be able to detect right away. Porsche Fremont and our partner, Cooks Collision, will repair the obvious damage, as well as check for any hidden problems. Surface Damage Restoration: Although typically harmless, dents and scratches obstruct the style and appeal of your new Porsche sports car or SUV. Using cutting-edge tools, our technicians expertly repair surface damages, and can restore your Porsche to its former beauty. The key to the renowned drive quality of the Porsche lineup is, and always has been, lightweight design. To achieve optimal handling, the bodyshell of every Porsche is forged using a “multi-material mix” of aluminum, carbon, and more. This revolutionary technology boosts performance, but also leads to intricate repair procedures – which is why a Porsche Approved Collision Center is a necessity. As one of the largest family-owned collision centers in these parts, Cooks Collision repairs around 30,000 vehicles yearly. You can rest easy knowing your Porsche is receiving nothing less than experienced attention. What’s more, no vehicle is given the green light until our ASE- and I-CAR-certified technicians complete a detailed inspection to ensure everything is in order. Your Porsche Deserves the Best! If you’re in need of skilled Porsche collision repair, contact Porsche Fremont. Our Porsche Certified Technicians and the professionals at Cooks Collision will work dedicatedly to repair minor and major damages alike. 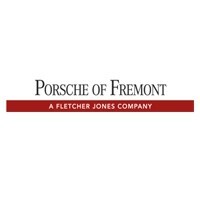 Porsche Fremont is conveniently located at 5740 Cushing Parkway in Fremont, CA – a quick drive from San Jose. Schedule your appointment online, or contact us today for assistance!